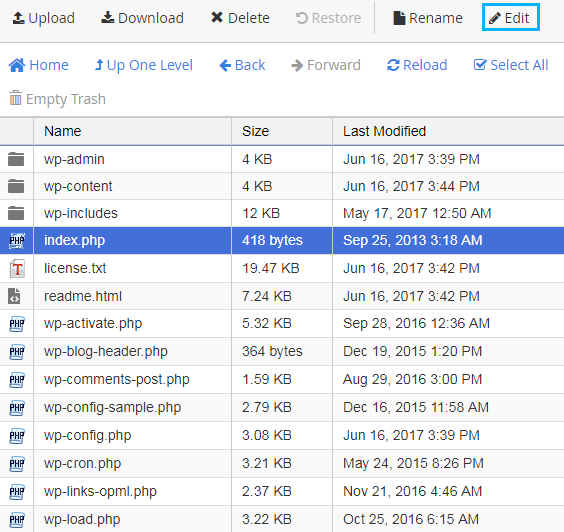 From this tutorial you’ll learn how to remove /wordpress/ part from website’s address. First, enter your WordPress Dashboard (Administration panel). 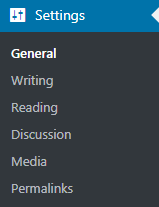 Locate Settings > General tab in the left column of the Dashboard and open it. In the Site Address field change the address to your root domain. E.g., http://my-website.com. Don’t apply any changes in WordPress Address URL field. Now you need to access your server. You can do it using FTP client or your hosting server cPanel file manager. Learn more about how to access your server with FTP from Uploading Files to a Server Using FTP tutorial. If you don’t know how to access your server using cPanel, then read Uploading Files to a Server with cPanel. When you’ve opened your server root directory, locate .htaccess and index.php files. You can edit it right on the server if you’re using cPanel file manager. To do it select the file you need to edit and click on Edit button. Please, make sure that the files are in the root folder (called WWW or public_html). If you’re using FTP client, like FileZilla, please, download the files to your hard drive, and then use text editor to edit them. In the end, you’ll need to upload the files back to root folder. Now let’s edit index.php file. Open it and locate /wp-blog-header.php line. 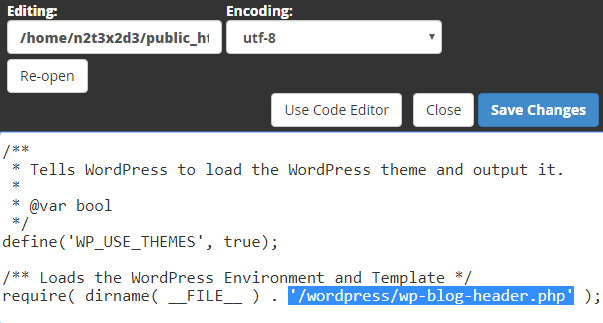 Enter /wordpress at its beginning. When you’ve saved the files and have them both in the root folder on your server, you can visit your website and view your custom address in the browser address bar.